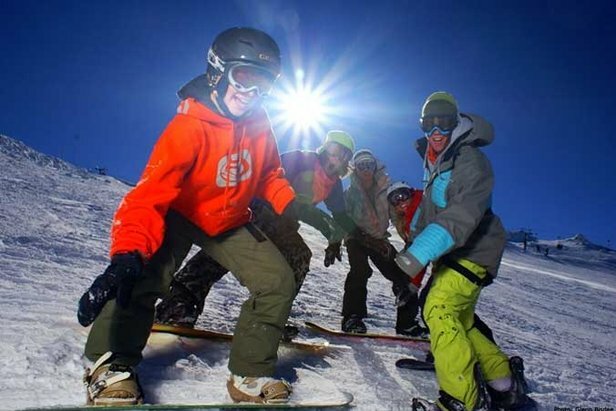 The fun slopestyle event is designed to encourage participation and progress young freestyle riders and skiers. It is open to children of all abilities, ages (five to 12 years) and guarantees laughter, action and excitement. Cardrona event manager, Graham Dunbar, called on all young skiers and boarders to join in the fun, "There was a great atmosphere on the mountain throughout the day, lots of fun and camaraderie amongst the competitors and everyone was rewarded for their efforts," he said. The action took place in an arena built especially for the event and included a mini X-Games course, a live DJ spinning the tunes and spectator terraces. The MC kept the competition flowing with an open card scoring system for the judging panel. Parents were encouraged to get involved and cheer on the competitors from the terraces. The event was open to skiers and snowboarders aged 5-12 years old and was broken down into three divisions; The Super Groms, 5-6 years, The Rippers, 7-9 years and The Shredders, 10-12 years. The prize giving and medal ceremony were held at the close of the competition with some great spot prizes from Rossignol and RPM. Throughout the day there was plenty of Calci Yum to refuel all the competitors.